Doug is a Middle School Technology Teacher living in Wichita, KS, with his wife of 31 years. They have two children, 1 grandchild and 1 on the way. 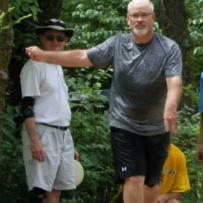 While Doug has been teaching for 35 years, he has only been disc golfing for 6 years. Along with disc golf, he loves to spend time with his Yoder Smoker creating BBQ goodies. 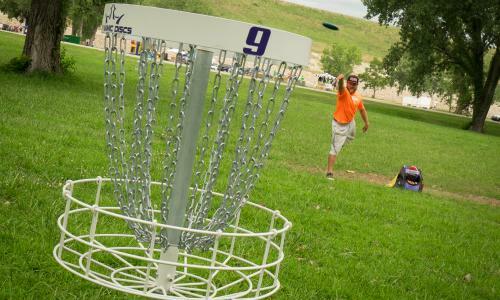 His love for disc golf started him on a 2 year journey, in February of 2015, to play every disc golf course in Kansas. In those two years, the state experienced a 50% growth in courses from 151 to 225. While he didn’t hit his goal, he hasn’t given up and continues to travel and play. He gladly admits that along with all the joy the sport brings, he also really enjoys travelling across the back roads of Kansas.